Twistfix World Cup Competition - Win a 50" Smart TV! World Cup fever is gripping the nation and everyone is thinking the same thing - maybe we can be the winners this time?! If you're feeling lucky, then you could be a winner yourself in our fantastic, free-to-enter competition with a prize worth over £500. Fancy your chances at winning this valuable prize? Simply enter the promotional code WORLDCUP at our secure and efficient online checkout when paying for any purchase and your details will be instantly added to the prize draw. The World Cup started in 1930 at the Estadio Centenario (Centenary Stadium) in Uruguay, the same country who also won that inaugural tournament. 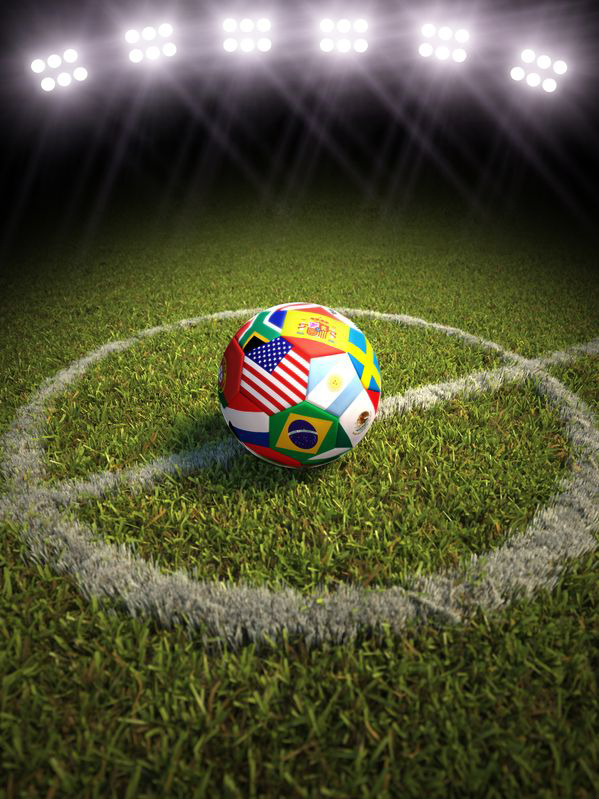 Since that first event, the World Cup has been held every four years (with the notable exceptions of 1942 and 1946 due to World War II) and incites great excitement and emotion in spectators everywhere, drawing hundreds of millions of people to watch the drama and spectacle unfold. Although there have been a total of 19 World Cup tournaments, only 8 countries can lay claim to having won the coveted trophy: Brazil, Italy, Uruguay, (West) Germany, Argentina, Spain, France and of course England in 1966. By far the most consistently-successful entrant is Brazil, who have won the title on five separate occasions and have qualified for every single tournament. Aside from actually being at the World Cup stadium itself, there is nothing better than watching the beautiful game on a quality television of a generous size. If you are the lucky winner of our competition, then you could soon be enjoying a smart, modern visual and aural experience with a Panasonic Viera 50" LED Smart TV. The 50" Viera model is the largest of its type and packs a massive amount of features into its tiny 15kg weight. With full 1080p HD resolution, an edge-lit screen, patented micro-dimming technology and a stunning 100Hz motion rate, the Viera offers incredibly-pure picture quality which is complemented by V-audio produced by a powerful integral sound system. As well as full HD Freeview with a 7-day programme guide, the Viera offers a host of other entertainment methods. Wi-fi enabled, the TV has a built-in internet browser and a selection of top apps including Netflix, Skype, Facebook, YouTube and iPlayer. A range of input options, such as USB, allows for almost any media to be displayed on the sleek, stunning screen and, as the Viera has an Energy Efficiency Rating of A+, it is incredibly envi­ron­men­tally-friendly and cost-effective in terms of power usage. The competition is now open so don't forget to enter the promo code when you purchase any of our superlative range of damp proofing equipment, masonry repair solutions, insulation systems, basement waterproofing products and other tools, materials and accessories related to the building repair and renovation sector. The competition is live now and closes at midnight (UK time) on Monday 16th June and any entries received after this time will not be counted; the lucky winner will be announced very soon after and will be contacted via email or telephone. Can't be used in conjunction with any other offers. One entry per customer. Good luck and Come On England!